Earlier this month, a CNN article on honeymoon registries recommended that couples using a service such as ours should “avoid extensive itemization” — wow did that get us thinking, because we couldn’t disagree more! We think it’s important to break your gifts down into “guest-sized chunks”. We find that guests engage with detailed, varied registries far more, where your personalities as a couple have a chance to shine through, and where it’s clear that your gifts aren’t measured only by their cost, but by their significance and character. In fact, sometimes the most quirky, offbeat items are the most popular with guests, even more than gifts for romantic meals, spa treatments or travel and accommodation. So we thought it might be fun to take a look through the many thousands of gifts registered through buy-our-honeymoon.com to find some of the more unusual ones. And as much as fabulous meals in beautiful restaurants are popular items to add to your honeymoon registry, so are odd foods and adventurous dining. From black eggs cooked by the volcanic springs of Japan to a meal of the Moreton Bay bugs of the South Pacific, our customers have tasted their way through bizarre delicacies the world over. 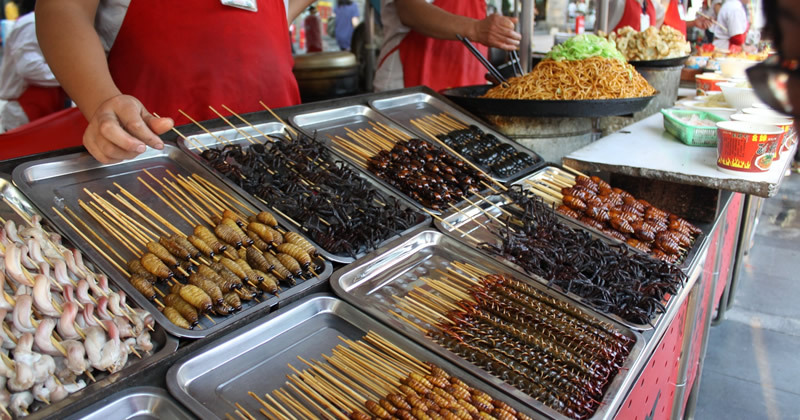 One couple pleaded with their guests not to buy the gift of scorpion kebabs from the night market in Beijing. Of course, someone did. Various couples honeymooning over the Christmas period have registered for Christmas Dinner — and who could resist being the first to snap up this gift? Later this year, one couple plan to spend part of their honeymoon hiking around the isolated north-western peninsula of Iceland. Their gift list includes dehydrated food supplies: this is a serious trip of a lifetime! Actually, a surprising number of registies include very real danger. 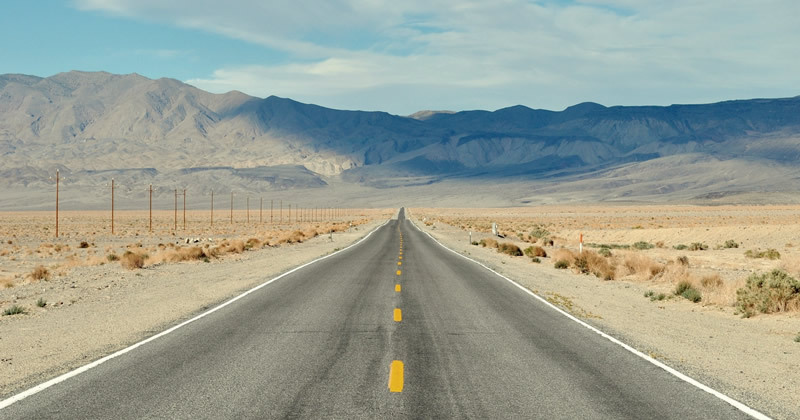 As well as several couples looking forward to diving with sharks, one couple spent a few days driving through Death Valley. Their registry included a permit required to even enter the National Park, as well as accommodation at one of the only places that’ll keep you alive. Perhaps one of the more dramatic items we’ve seen registered, though, was a tattoo created while on honeymoon! Lots of registries include simple treats to provide for a little luxury on honeymoon: taxi rides, afternoon tea, enrty to the airport VIP lounge. And lots of registries include items that we’d count as super-practical: entry visas, a week of sat-nav, flight stockings to ward off DVT, and anti-mosquito warfare supplies. One couple, fabulously, registered for a variety of components to repair an old camper van. And since you don’t have to limit your registry to items for your honeymoon — you can mix-and-match honeymoon contributions with more traditional homewares or other gifts — some couples include gifts that help prepare for their wedding itself. We’ve seen an authentic “cut-throat” barber’s shave, tango lessons, and a bagpiper to play the bride down the aisle as surprising, but valued, gifts registered on the site. One couple included a toy for their pet whippet, another a worm bin (with worms) for their garden. A couple marrying next month have registered for enough Super-8 film to capture “relentless portraits” of the bride on their honeymoon. We think that’s a brilliant example of the registry becoming as romantic as the couple! But perhaps our very favourite unusual gifts come from a couple who spent part of their honeymoon on a volunteer project working at an orphanage in Romania. Guests could donate to the cost of the project itself, or donate clothes, colouring books, stickers and stationery as gifts through the couple’s registry. What have we missed? Have you included anything unique on your honeymoon gift list that we didn’t notice? Do let us know!